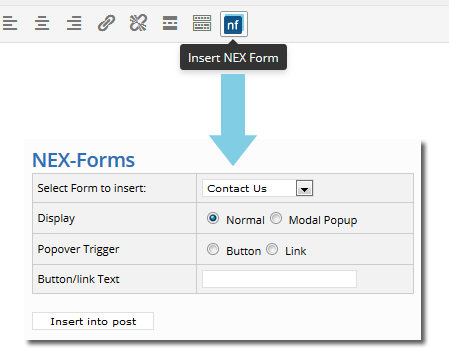 Open NEX-Forms from your wordpress admin menu. When you click on a field it will be added to the bottom of the form canvas area. When a field is added you will instantly have a option panel to the right of the form canvas (or your custom postition) to change the field's settings and appearance. Different fields have different settings. While adding fields and setting them up you can preview the progress by clicking on the "Preview" button on form title bar. When you are done building your form give your form a title. You are now ready to save your form. To save a form to be used in a post, page widget or theme template page you can just click the "Save" button. 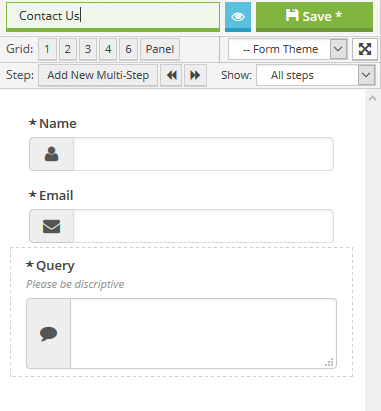 To save a form to be re-used as a template click on "Save as Template" from the Form menu. NOTE: You can save a form and a template of the form. Just click "Save" and then "Save as template", or the other way around. After a form is saved it can be retrieved by clicking on "Open" from the Form menu or keyboard shortcut CTRL+ALT+P. After a form is saved as a template it can be retrieved by clicking on "New" from the Form menu or keyboard shortcut CTRL+ALT+N. You will be asked to choose a template or to create a blank form. Click choose template. You will be promp by your browser to save the exported form file or the form will be exported by default to your downloads directory. 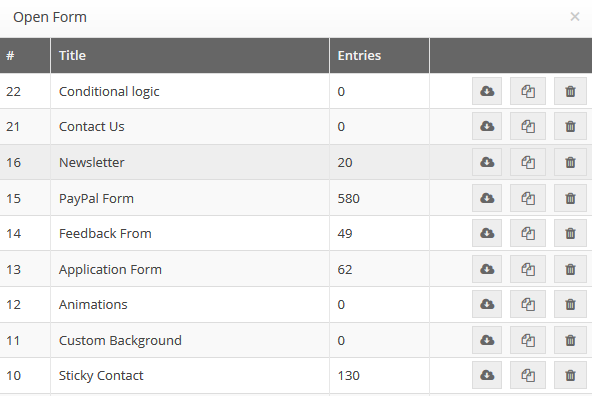 NOTE: You can also export a form from the saved forms window. You will be promp by your browser to browse to an exported form file. Please note only import forms exported by version 6 or higher. Shorcodes are generated when you open an exsisting form or the moment you save a new form. A popup will come up with all the codes thats available to use. NOTE the ID will change from form to form. Use PHP in page templates. To "return" a result instead of "echo" change the second parameter to be "false". 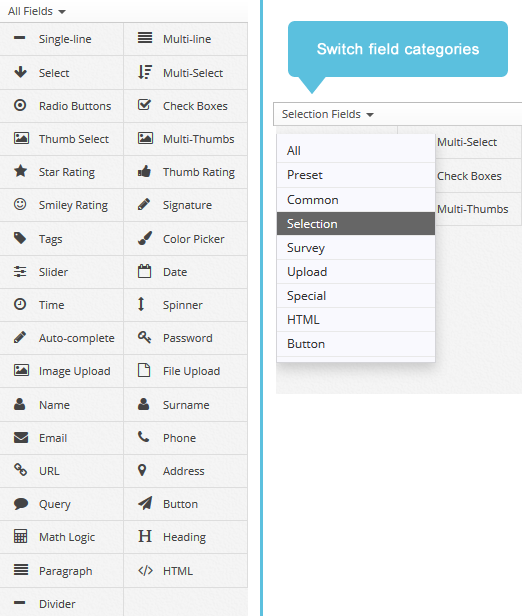 Open WordPress Widgets found under Appearance in your wordpress menu. Make sure "Sticky" and "Popup" are set to "No"
Select "Sticky" to be "Yes"
Select The position of where the paddle should appear: Top, right, bottom or left. NOTE: When using sticky forms make sure to use small forms. 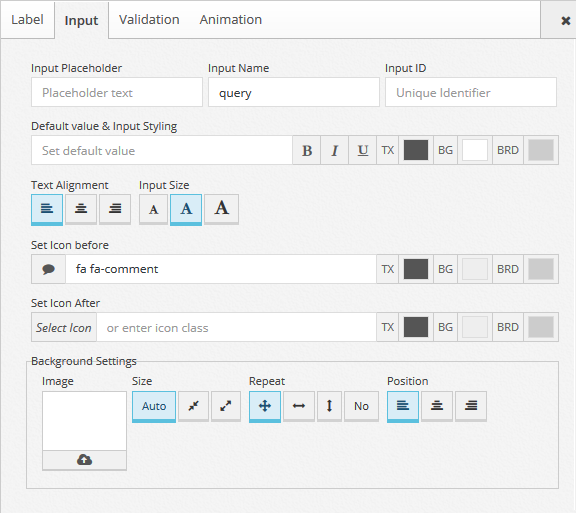 Also make sure to add the fields of the form into a panel for display purposes. Select "Popup" to be "Yes"
Select display to be a button or a link. Open an exsiting page or create a new one. Choose the form you want to insert.